MUAR: Johor's Sultan Ibrahim Ismail Sultan Iskandar has declared Bandar Maharani here as the royal town of Johor. He said this at the state-level Maulidur Rasul celebrations here on Sunday. Sultan Ibrahim Ismail also urged the residents of Bandar Maharani to give priority to the cleanliness of the town, befitting its status as the royal town of Johor. 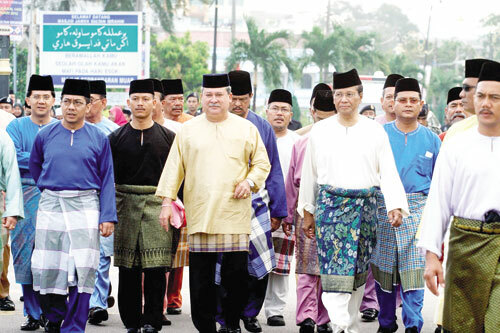 Mentri Besar Datuk Abdul Ghani Othman said the state government welcomed the declaration by Sultan Ibrahim Ismail. He said it was timely and appropriate for Bandar Maharani to receive the royal status as it was among the oldest towns in Johor. “Bandar Maharani, which was opened by the late Sultan Abu Bakar in 1887, has many old buildings built before and around the 1920s. “Many of the buildings, including the Muar district office, the courthouse (no longer in use) and the Muar High School are also beautifully designed. “The town is also strategically located along the Muar river estuary and the state government appreciates the declaration,” he said. Abdul Ghani said the state would also observe the Sultan's call for all Malay reserve land, state land and areas at Tanjung Emas, to be protected and no development carried out that could affect the beauty of the town.